So it’s my birthday now and I’ve been wearing my Red Hat for a little over a year, it was an interesting journey so far, so I thought that I would think back and write down the story. I started at Red Hat last summer (2016) as .NET Engineer, I went through all kinds of trainings and courses. During the first few months I got to look at Azure from all kinds of different angles and I learned some basic stuff about Red Hat. 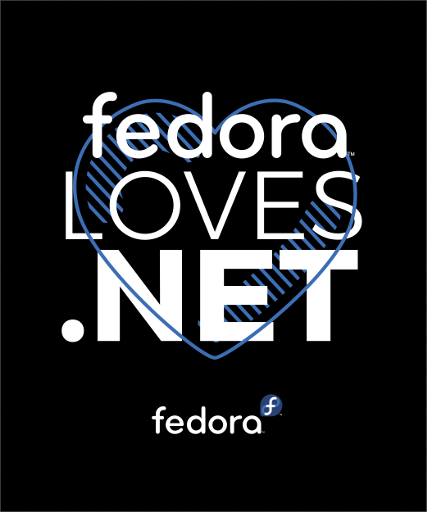 It didn’t take long before I jumped all-in on Fedora as well, I embraced every bit of my job with passion, and started contributing on my own time as well. I joined the Community Operations team first, where I’ve met Justin - someone I now consider one of my best friends, if not the best. Thank you for helping me out and answering all my silly questions, thank you for just being there for a chat when I needed it. Justin also encouraged me to establish .NET enablement team in Fedora, and so I did. The .NET SIG now has eight active members, we’ve been working hard towards packaging .NET Core and much more. I never thought that managing a team would be so complicated and time consuming. Many simple things added together, and you have quite large snowball. In the beginning it was the creation of basic infrastructure such as wiki pages, mailing lists and fas groups. I came up with meeting structure based on the commops example. This later turned into more routine meeting-chairing and agenda-writing. After a few months I was told to help the webservers team because they were swarmed, and so I started learning something about webservers. As you can probably imagine that did not go well, it’s a little too complex and huge area and one doesn’t just become professional in it overnight. I became well versed as a user, but that wasn’t enough and it was quite frustrating. On Fedora side I joined the Diversity team, and we all met at devconf.cz for the Diversity FAD. Not long after devconf.cz I had my first tiny presentation at Red Hat Open House 2017. It was planned to be in a small room for 12-15 people, it was moved to one of the bigger meeting rooms for 25-ish people. There were 50 people squeezed in, and it was way too hot. I survived eh… telling everyone how awesome C# on Linux is. I was interviewed by Charles Profitt for the Fedora Magazine series “How do you Fedora.” This was the first time that I felt a little uneasy reading some of the comments. It pushed me towards thinking about the legacy feelings many people have towards .NET - I later mentioned it in my blog post and further talked about it in a dedicated post to the problem. I moved from webservers to OpenShift in late spring / early summer, and spent the time between then and now learning all I could about it while continuing my work towards .NET Enablement in Fedora. I had to pull back from active contribution to the Diversity and CommOps to have more time to manage the .NET Team of my heart. This meant creating new private FAS group and new mailing list for packagers only to begin with. These had some issues that took a little while to resolve, but it’s all cool now. We’ve also got a copr group where we have our packages for now, until we nail down all the remaining issues - there are still a few prebuilt binaries and bundled dependencies. We’re on the right track though! I went to two Microsoft conferences/meetups, where I told them all about C# on Linux again. It was quite a bit of stress, and the first one in Prague was full of technical issues, such as the lack of microphone. If you know me then you know that I have weak voice, due to having partial unilateral vocal cord paralysis and being post-surgery. I screamed my voice out, and it was really low quality presentation because of it. The second one on the other hand went just fine. I also bought a semi-decent mountain bike after selling my car. It was more expensive than what I got back for the poor old car. I took it a little bit more seriously than other people would. I used to ride long distances every summer when I was a child, with my father. 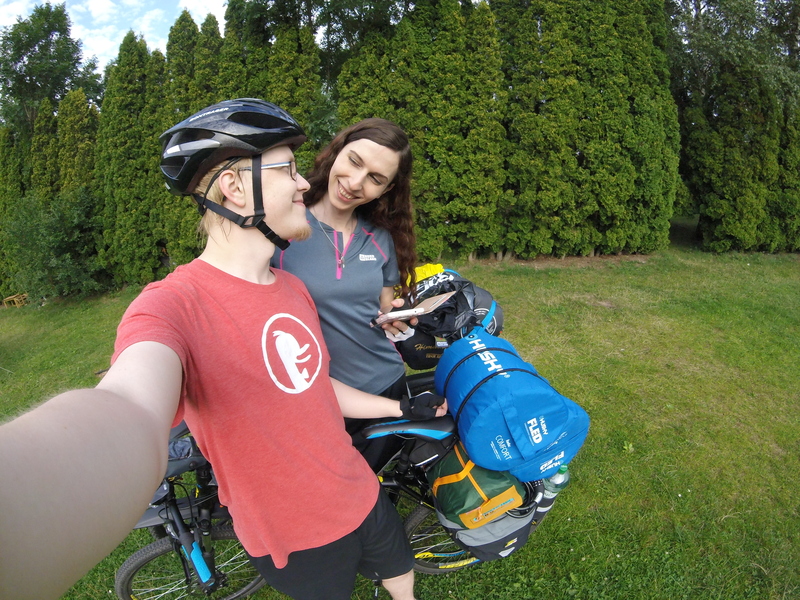 We would always grab a tent and sleeping bags and go somewhere for two weeks, a thousand or few kilometers. I really wanted to get back to that, because it does bring back some of the most wonderful memories. We started slow, with my boyfriend, we went only to some nearby places, but it was still awesome. (You can see some of it in this playlist.) Next year, High Tatras Slovakia! My manager, Seán - for understanding our interesting and unique situation we found ourselves in, and giving me the time to work on the blue heart. Justin - for being always there to help me with anything Fedora related, and becoming great friend. Dave - you got me started in Red Hat and Azure! Steven - you know which Steven I mean, right Steven? The OpenShift buddy. Brian and Lukas - two RedHatters who quickly became my friends outside of the office as well. Jerome - thanks for dragging me around MountainBiking!